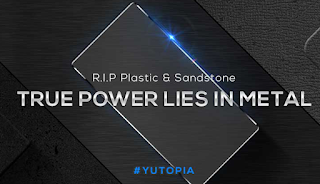 YU Yutopia or YU5050 is one of the most anticipated phone this year, ever since it's specs were leaked on GeekBench back in September.Since then YU has been teasing tidbits about Yutopia, in their words 'World's Strongest Smartphone' or the 'Real Beast'. Rahul Sharma, CEO of YU revealed the launch date of Yutopia to be 17th December, 2015. 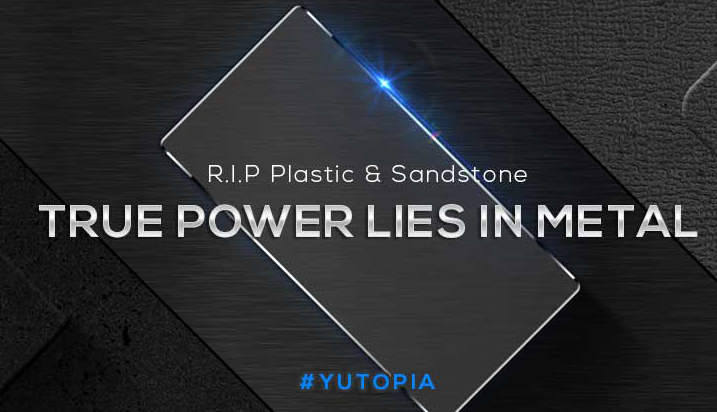 So we have decided to give you a complete details on everything you need to know about YU Yutopia, upcoming flagship from YU. We'll be discussing all the details teased by YU in past few weeks on it's FB and Twitter pages. We'll also look at the competition i.e. more popular devices in that given category. Yes, just like Yuphoria, Yutopia will have a metal body as is the case with almost every flagship device in the market. It will be interesting to see the finished metal design and how it looks overall. 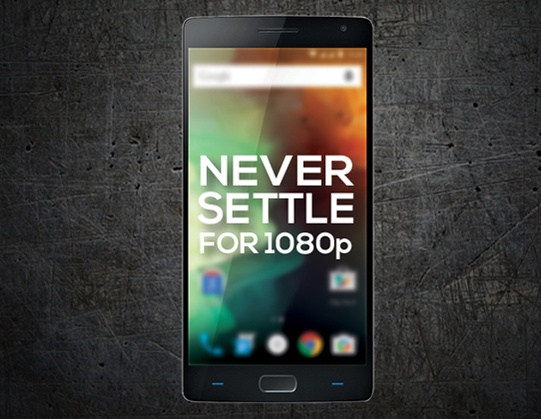 As seen in the image above YU took a jab at OnePlus for having 1080p screen indicating a higher resolution screen. 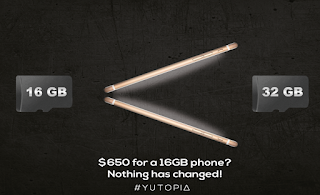 Since 4K is not that common yet our guess is Yutopia will have a QHD screen with 2K resolution. Quick Charge as the name suggests allows device battery to reach considerable amount of power in a very short span of time. YU once again taunting OnePlus revealed that Yutopia will indeed have QuickCharge capability. No surprises here. 32 GB seems to be pretty standard internal storage for flagship devices though YU this time took a dig at Apple itself for having 60K price for 16 GB. In all fairness iPhone has storage up to 128 GB though it costs more. 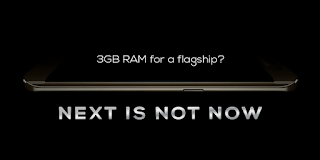 In it's last tease YU took a dig at Samsung and called them out for having only 3 GB of RAM hence confirming 4 GB of RAMs for Yutopia. 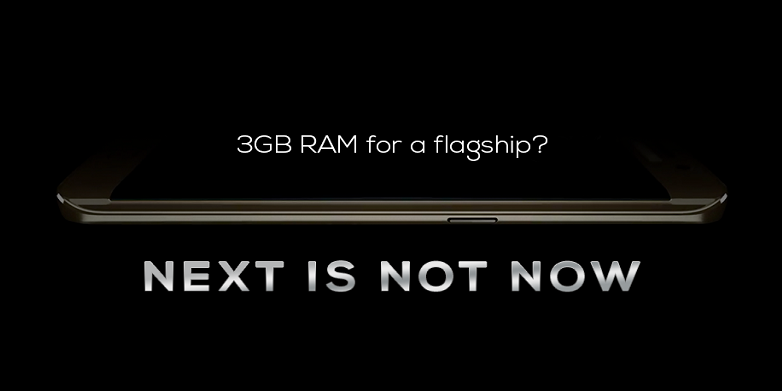 However a variant with 3 GB of RAM is also a possibility. YU mocking Apple again, this time for it's low power battery indicated a huge battery or atleast bigger than iPhone which has a measly 1750 mAh battery. Though Apple devices are hugely optimized. So no comments there. In a major relief Yutopia won't be sold via flash sale but instead a queue system which will be based on the FIFO(first come first serve) basis. For the same YU has opened up registration on it's website. When Yunique was launched with Pure Android instead of Cyanogen OS, rumour spread that partnership between YU and Cyanogen will be broken. All of that was lead to rest by Cyanogen with the below FB Post hence confirming Cyanogen OS 12.1 for Yutopia. These were all the teasers revealed by the YU officially regarding Yutopia. Most of the specs are now known, though we still don't know about Processor, Battery mAh, Fingerprint Sensor, USB Type-C, Screen Size, Camera and most important Price of Yutopia. 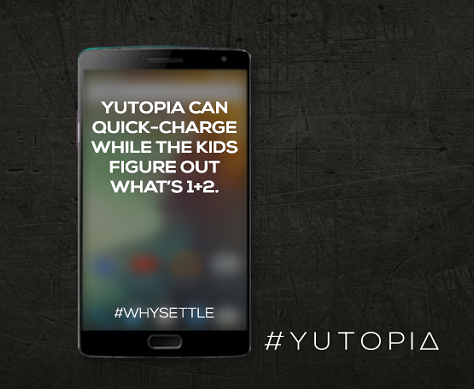 All of these details will be revealed when Yutopia is launched after little over a week on 17th December, 2015. 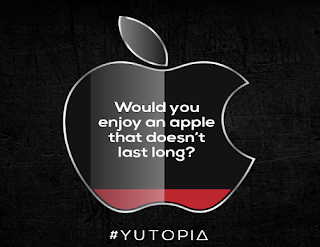 Keep checking YSP Blog for more on Yutopia and other info related to YU and connect with us on FB and Twitter. Do leave your comments on what you expect from Yutopia and whether you plan on buying the phone or not and don't forget to share.